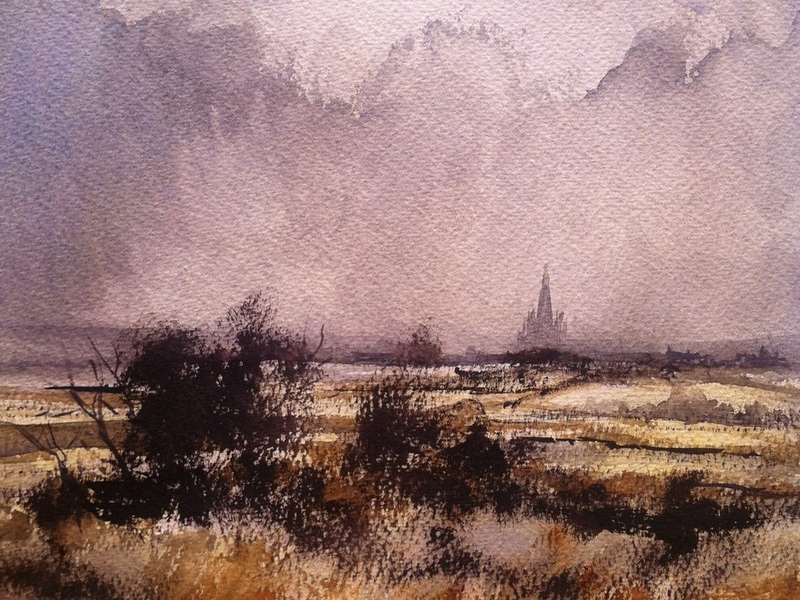 Not strictly true I know but I did recently spend some time pouring over a couple of my Rowland Hilder books and was also able to carve out a little time to do a few sketches too. 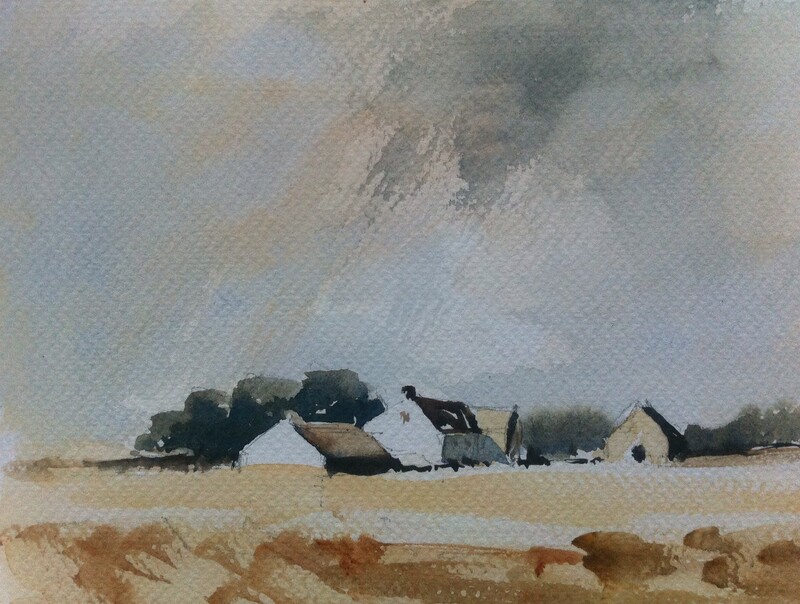 Not too long ago I picked up a Winsor and Newton Artists Field Set that included a range of Cotman Watercolours. I’d previously been a bit sniffy about this kind of set as I already have an abundance of small enamelled metal palettes that should serve the same purpose more than adequately. 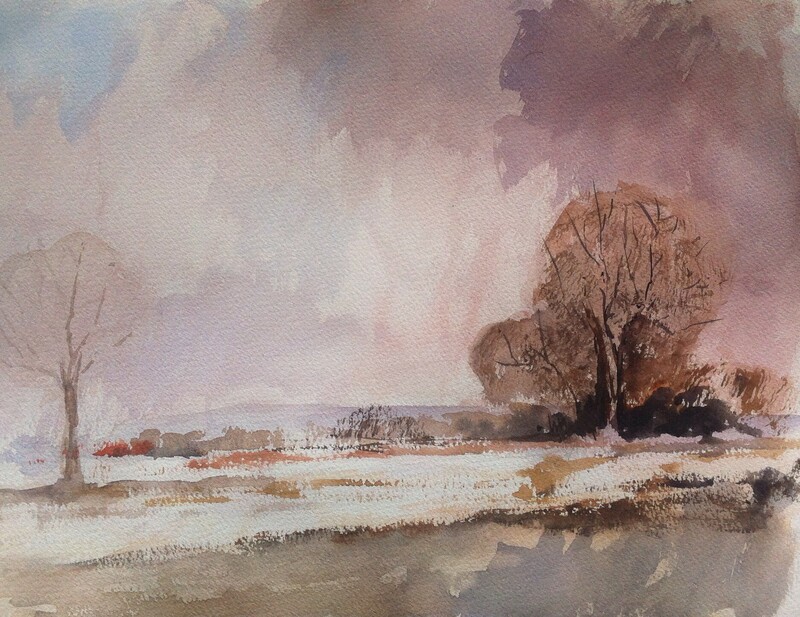 I expected the shallow mixing areas to be a major drawback as I usually like to have lots of washes on the go but in actual fact, I enjoyed the discipline of working with ‘less’. 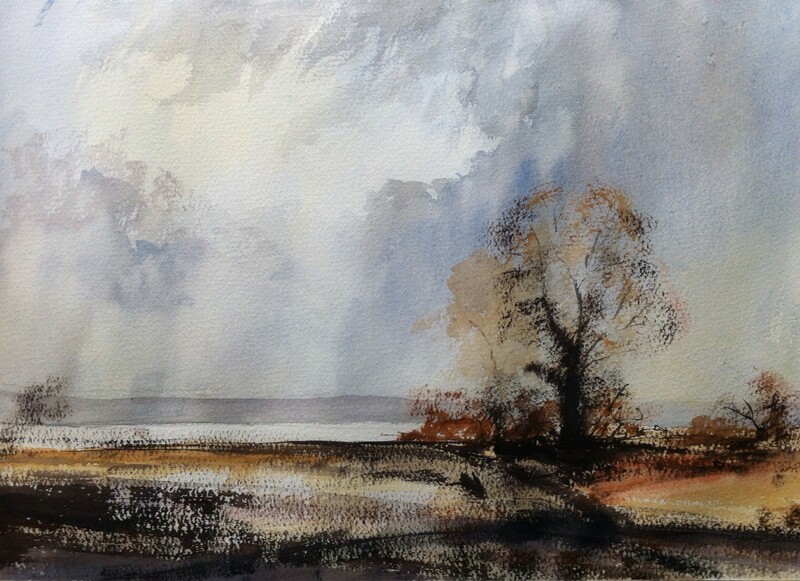 Working on such a small scale, the palette was perfectly adequate for mixing up enough to apply a thin wash and without it soaking the paper – which meant it dried quickly and allowed me to move on quickly or apply another wash soon after – I can’t tell you how many times I’ve ruined a sketch just through my own impatience! Anyway, I was so heartened by the couple of sketches, not to mention the fact that it felt great to be painting rather than just ‘thinking about getting around to painting sometime’ – that I decided to upscale a little. 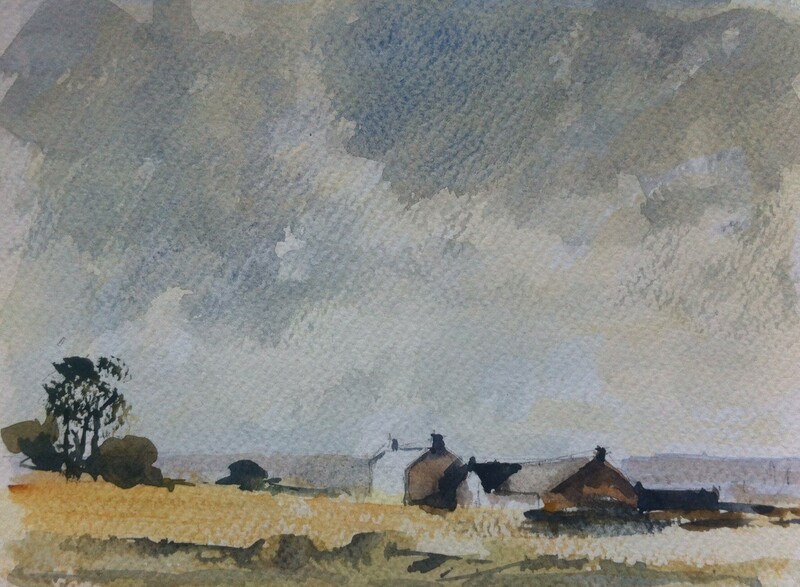 I subsequently did three further Rowland Hilder studies but this time on quarter imperial oatmeal tinted bockingford paper. Again, I really enjoyed working on these although I think the results are a little mixed. I thought that the tiny palette coped pretty well with this size of work – but I think this is also as large as I would want to paint using this field set. Aside from really enjoying the time I spent painting, I also became quite enamoured with the Winsor and Newton Field Set – so much so that I’ve bought another one – but this time featuring the Winsor and Newton Professional Watercolours which I’m more familiar with than the Cotman range. (My intention had always been to use up the Cotman paints up and refill the paint trays with my tube paints) but the London Graphics Centre had such a great offer running on the professional set that I was able to justify to myself the many advantages of having two field sets! My plan now is to choose a couple of the images from this little collection and to repeat them using the artists watercolours to see how much of a difference I can notice! The paintings are shown here in the order that I painted them – and the ones I’m most likely to have another bash at are 3 and 5 but let me know if you’ve a preference for which you’d like to see me make another attempt at.